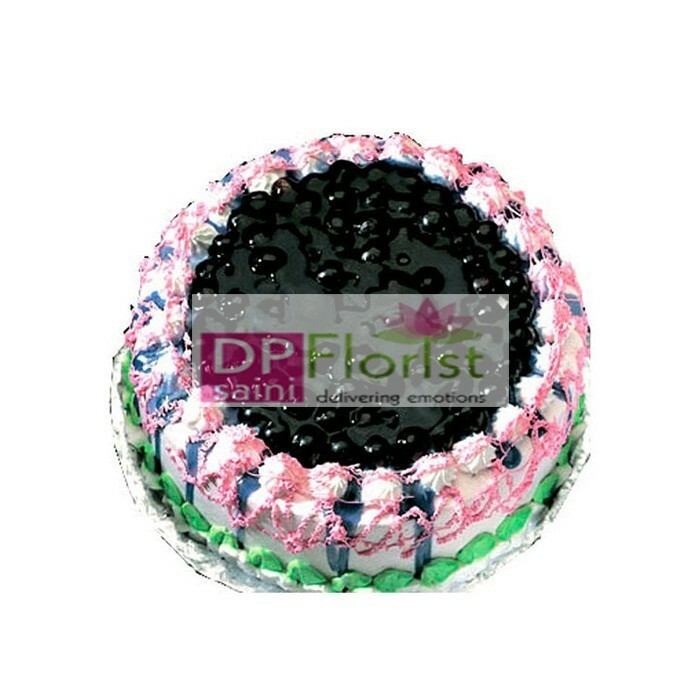 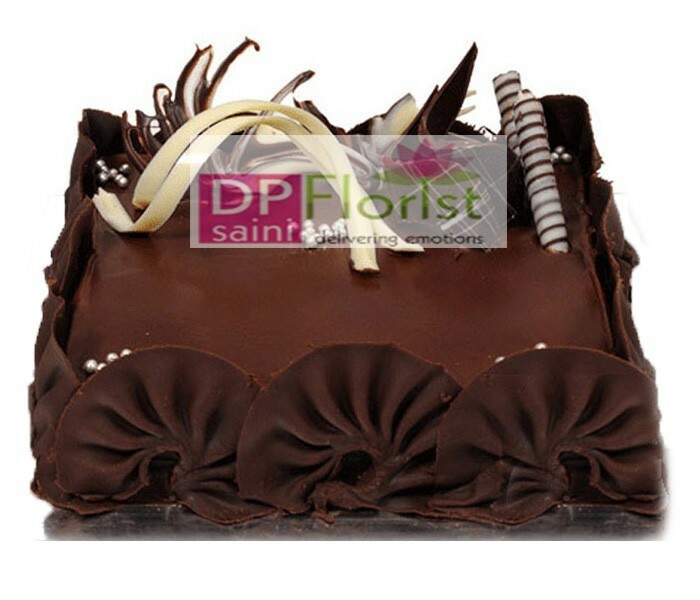 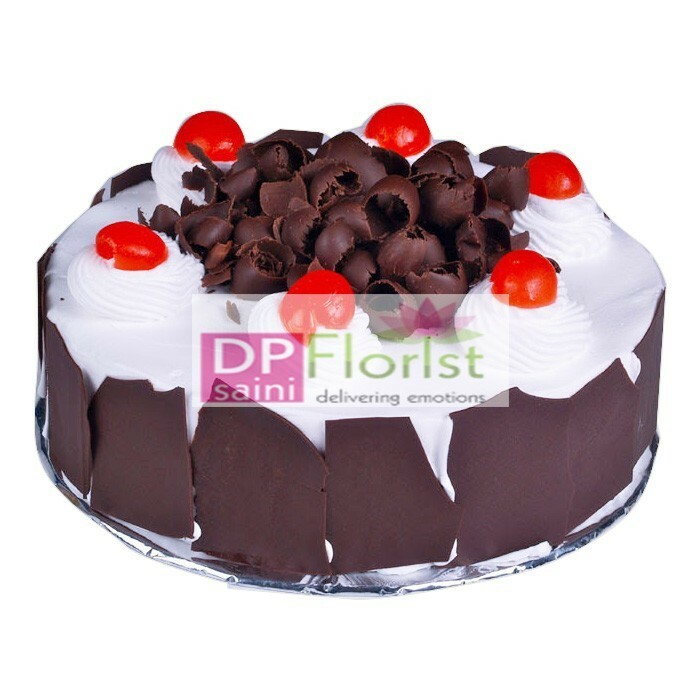 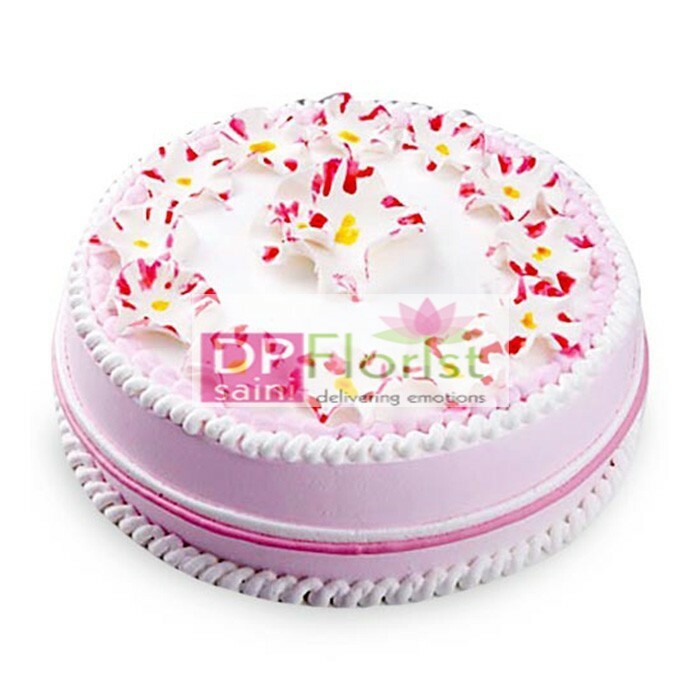 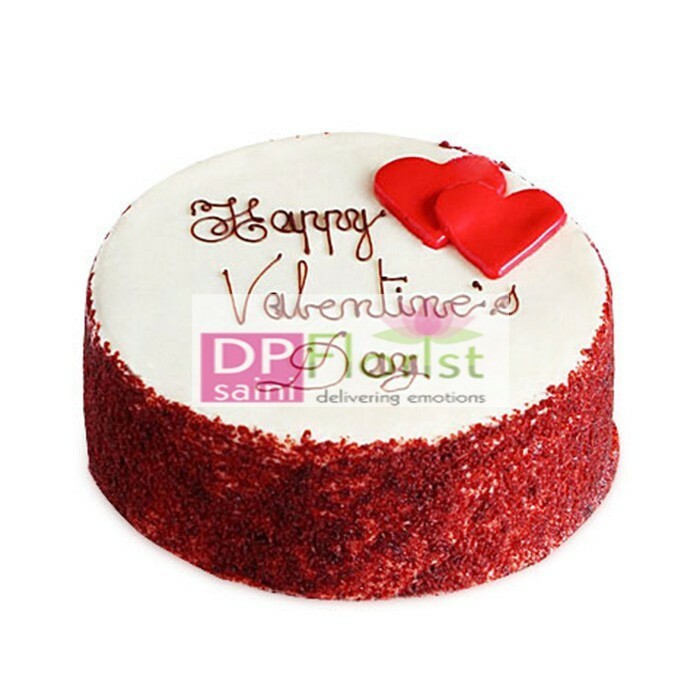 The delicious Black Forest cake is moist, dark chocolate cake filled with cherries and whipped cream, and garnished with chocolate curls will delight your loved ones. 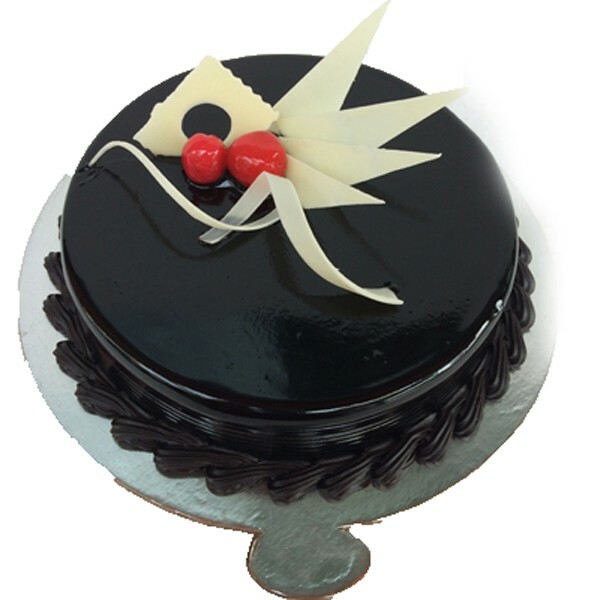 This is decorated beautifully and it will be relished and rejoiced. 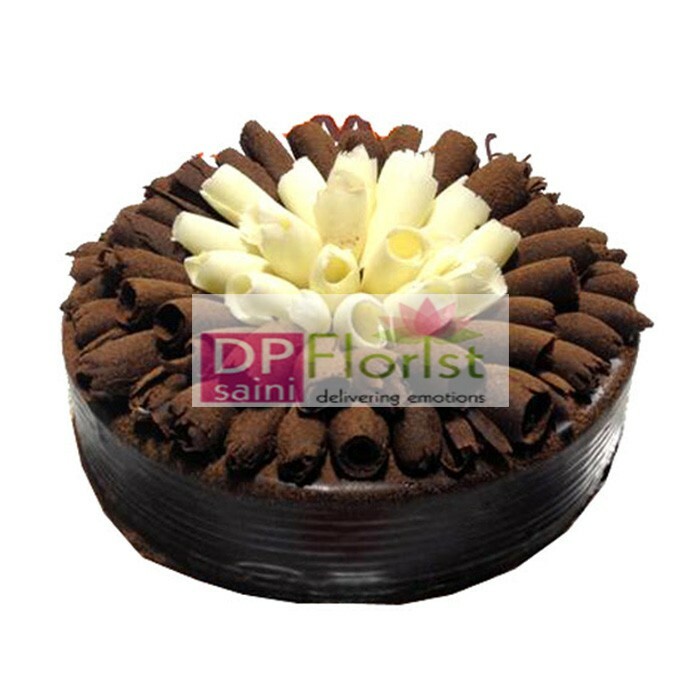 Send it through Dp Saini Florist.